We had a birthday party for the girls yesterday. Now, I don't make cakes from scratch. I'll tell you it's because I don't have a proper mixer, which is true, but, more honestly, making cakes from scratch scares me. I'm sure I'll do it wrong. I can, however, make a pretty kickin' frosting. I've done all types. This year, I made the babies a white cake with strawberry frosting. 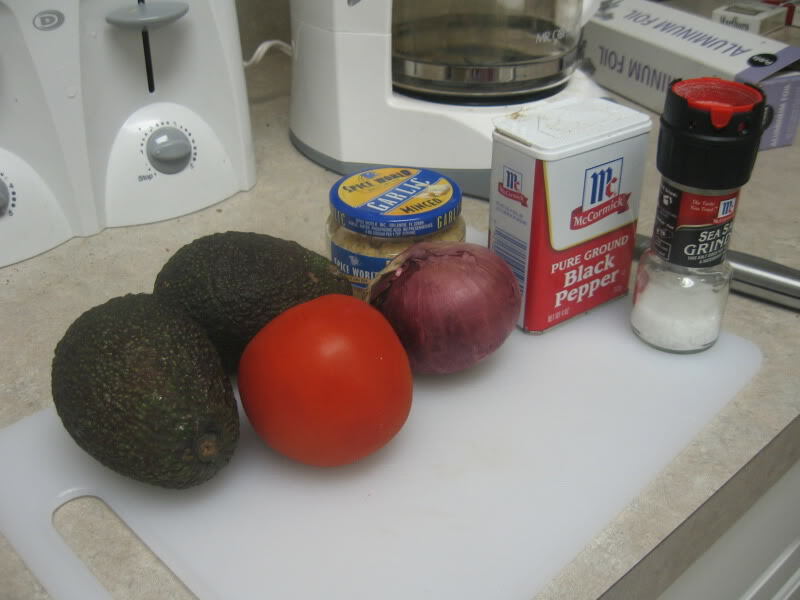 Here's the easiest recipe in the world. Beat the first three ingredients together until creamy. Add the sugar and strawberries a little at a time, beating each addition in thoroughly. Put it in the fridge for a while. Then spread it over the cake just before the party. 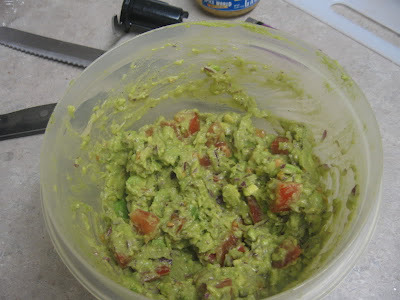 Another fabulous food to bring to any party at all is guacamole. For some reason people are always impressed by a good by-hand guacamole, and it's one of the easiest things to make, basically, ever. Smash the avocados up. Mince the onion and chop the tomato. 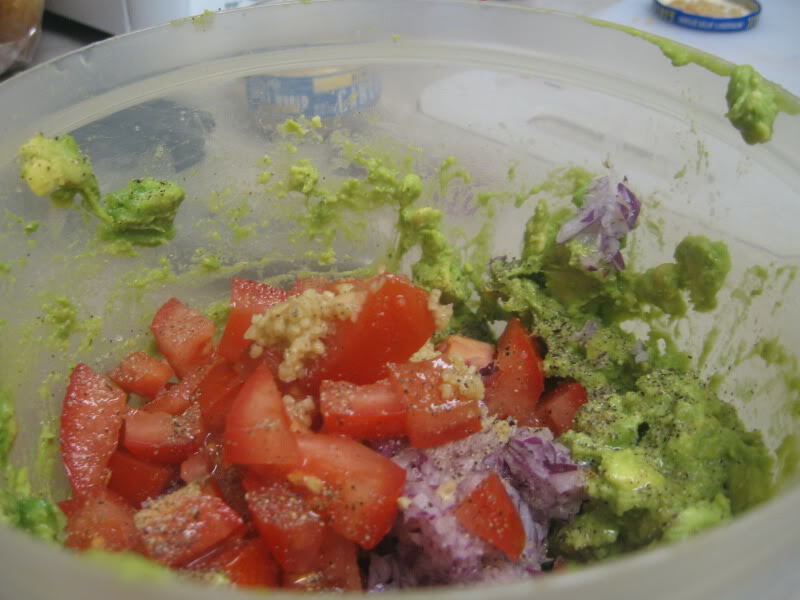 Mix all the ingredients together, adding the lime juice last. Refrigerate for at least 30 minutes so the flavors mesh together. Everyone loves this when I make it, and it only takes a few minutes!